I created a new art journaling page using the Writer’s Block collection from 7 Dots Studio. 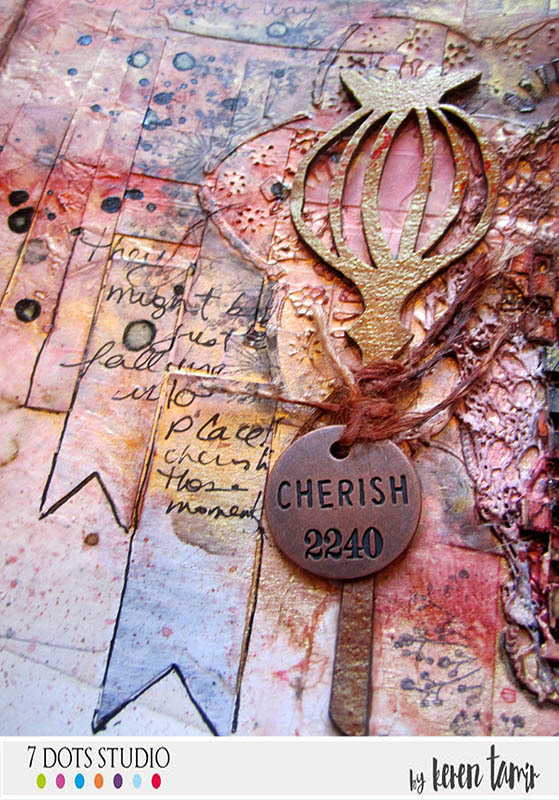 I really wanted to create a mixed media page and I love the Die-cut elements and stickers as they create a wonderful textured background for my projects. 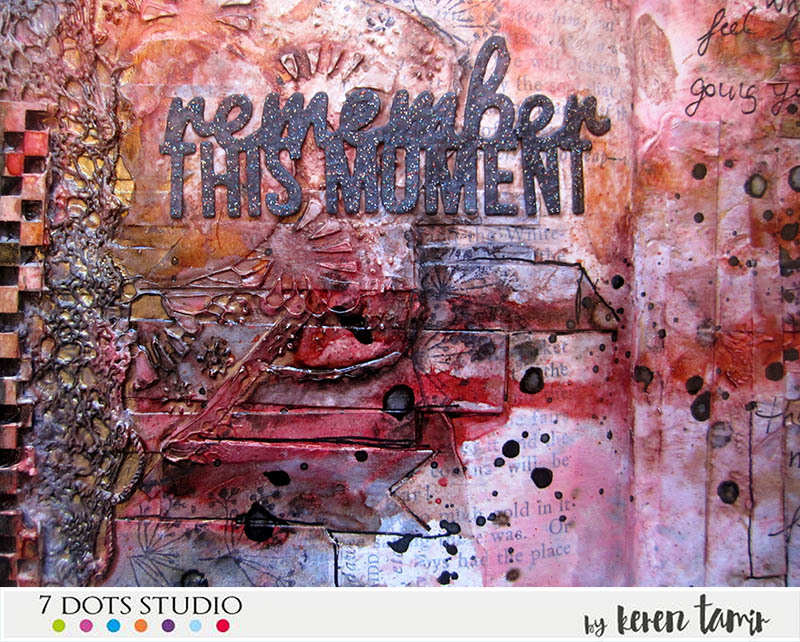 Using leftover pieces from other 7 Dots Studio projects was a perfect way to add texture to this mixed media background as well!! 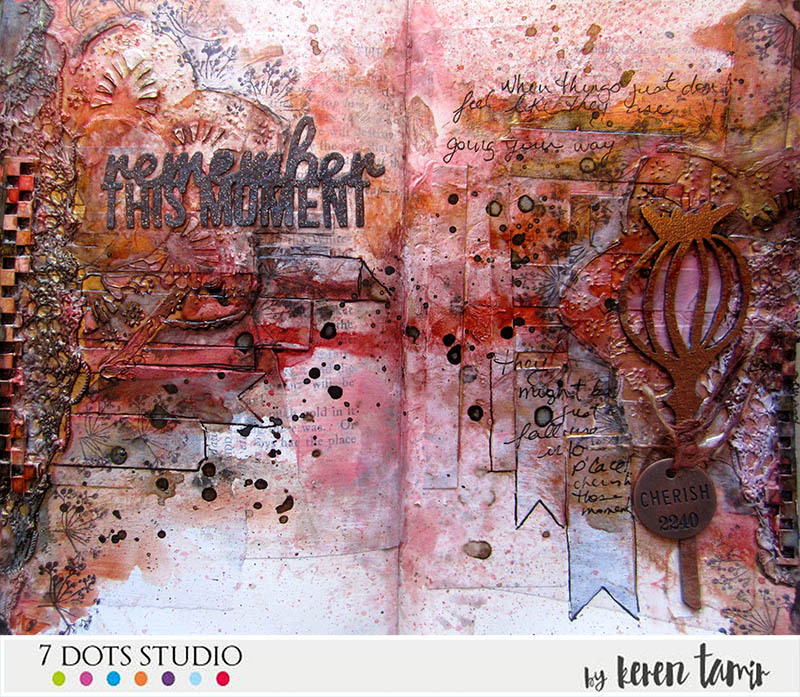 I loved using the UmWow Studio poppy chipboard from the Homegrown collection as my focal point and then journaled my feelings around it. The flower stamp from the Cotton Candy Dreams clear stamp set was perfect to add texture at the end and match the natural feel of the composition. It is beautiful!! With so many thingd to learn!! Thank for your tutorials!! Loved it ! !